Chief Olayiwola Olakojo, a close associate of former president Olusegun Obasanjo, has stated that there was no going back on the recent memorandum of understanding (MoU) signed by 34 political parties to present a joint presidential candidate against the incumbent President Muhammadu Buhari of the All Progressives Congress (APC) at the 2019 presidential election. 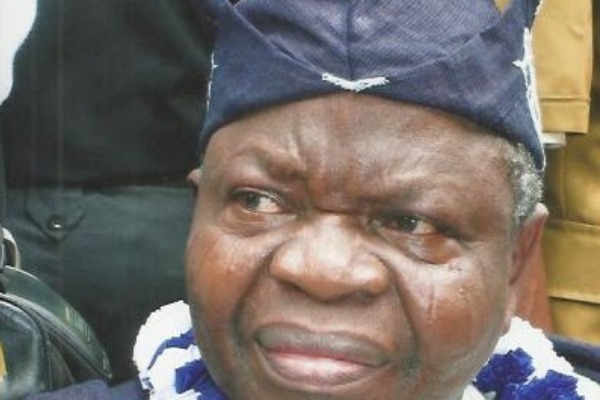 Olakojo, a former Secretary to Oyo State Government, SSG, and the coordinator of African Democratic Congress (ADC) in the state, made this revelation while addressing journalists shortly after the maiden meeting of the party and inauguration of the congress committee of the party in Ibadan on Tuesday. He explained that the seven-man committee, which is headed by a former Chairman, Caretaker Committee in Ibadan North West Local Government Area, Dr. Wasiu Olatunbosun, was constituted to conduct wards, local and state congresses of the party slated for August 4th, 7th and 11th respectively. He added that the party was working and leaving no stone unturned in its resolve to chase Buhari and the APC out of power in 2019. The former SSG, who was flanked by other leaders of the party including another former Secretary to the state government, Chief Busari Adebisi, Alhaji Isiaka Alimi, Mrs Victoria Adegbuyi, Alhaji Gani Alade, Chief Dokun Alagbe, Alhaji Kayode Adanla, Chief Goke Oyetunji and Reverend Adeniran, stated that the ADC will leverage on the crisis within the Peoples Democratic Party (PDP) and All Progressives Congress (APC), to campaign and win the presidency and other states across the country. He said, “We are leaving no stone unturned to ensure that ADC gets the presidency and defeat incumbent president. We are working to chase Buhari and APC out in 2019. We are already on ground in Oyo state, the PDP is confused, the APC is confused, there is R-APC. We just want to appeal to you gentlemen of the press. Olakojo, who hinted that the presentation of a consensus candidate by all the parties concerned was a fait accompli, posited that the breakaway faction of Oyo APC popularly known as Unity Forum had agreed to jointly own ADC in the State. He said, “Our immediate task is working towards actualization of our dreams to form the next government in the state and Nigeria as a whole. The process for the nomination of a joint presidential candidate among all the 34 political parties against the incumbent president is on and we are optimistic it will work for the greater unity and development of Nigeria”. Adebisi, in his remarks, said, “Since the former Governor Lam Adesina’s death, the progressives party as represented by the APC has gone down ideologically and we are just trying to revive the progressive instincts we are known for. The core values we are known for and the original ideological base of the progressives have been eroded under the APC.